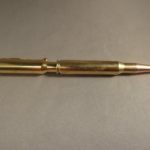 The All-American 30-06 Rifle Round! 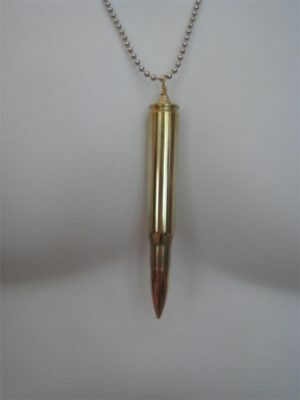 Features a standard 30-06 rifle round. This is a true All American Round! 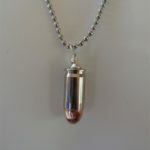 The bullet is a full metal jacket with a cannelure. 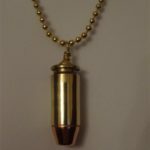 This bullet is the most consistent with a military type cartridge . 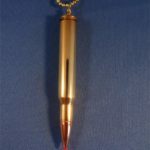 Perhaps this round is best known for U.S. Marine Corps snipers who used the Winchester Model 70 during the Vietnam War. Gunnery Sergeant Carlos Hathcock (aka White Feather) used a Winchester Model 70 sniper rifle chambered in .30-06. 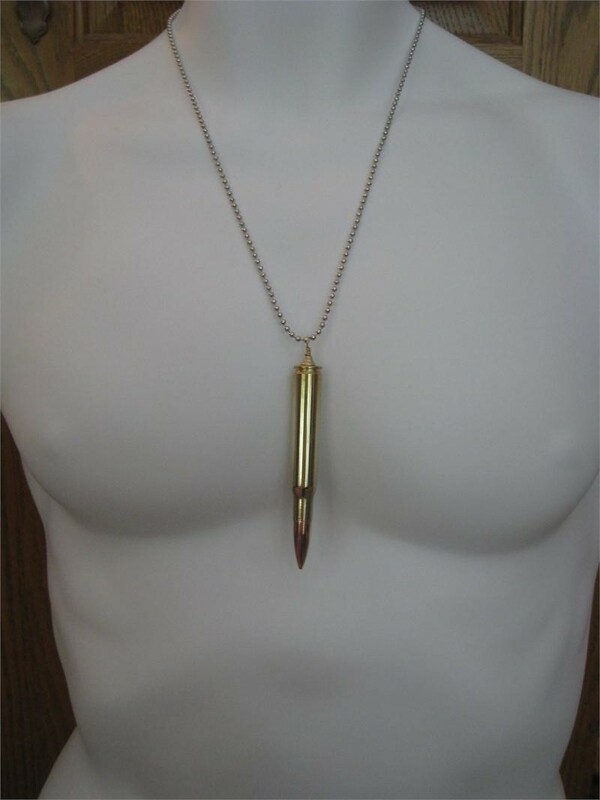 Also, Hathcock famously used this round to kill a North Vietnamese enemy sniper by shooting him in the eye, through the scope of his Mosin-Nagant rifle. Hathcock’s rifle is on display at the Quantico, Virginia Marine Corps Sniper Museum. 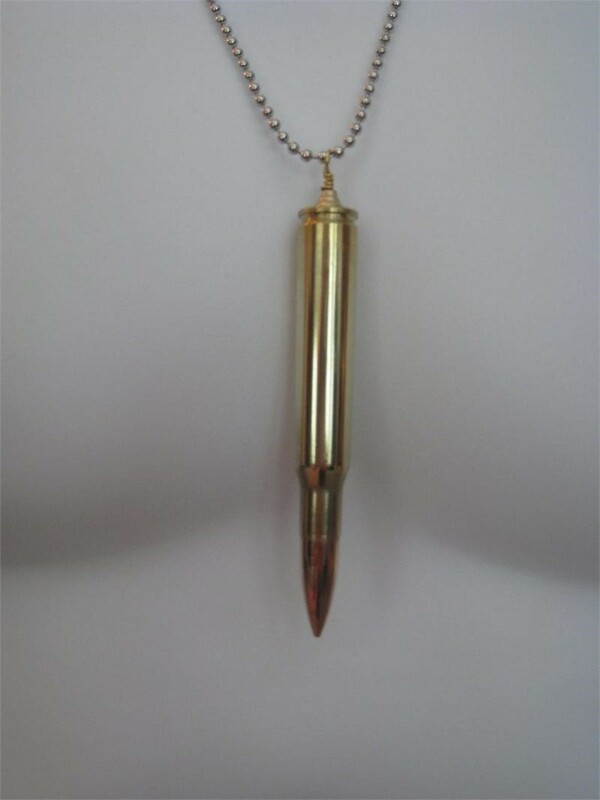 If purchased as a necklace, this cartridge comes on a 20″ brass ball chain. Also available as a key chain or cartridge only.